I thought I knew the SuperBirds and Daytona’s because they really had few options to choose from. Look at the lime green one in the window. I get that one and I have seen a lot of Superbirds with that color. Now, I had a desire for a Bird for a while but they have priced themselves right out of my market. For the price of a Bird with a 440 I can buy ( and I did) three other classics. Now, I will always love the winged one but the current market has priced them too high for this old boy. But, here is my issue with the picture and my well rounded education. I never saw a Bird in this color or have these wheels. This picture will make me go back to my deep resources and do some discovery work. How many were made in this color? It’s not exactly a hot rod color like a lime green or Petty blue but it is a ‘bird. My point is we all can learn something new or a little more in this hobby. I met a guy last year at our show that proclaimed he was a Yenko expert. He had a real Yenko Camaro and it was stunning. I just stood there drooling like a buffoon while he spewed all kinds of facts. Some correct, some a little hearsay. My point is to brush up on your fact machine. I sure will go back and do some more research on this as I always want to learn more. What I grapple with is how many of these were scrapped, crushed, burned, totaled etc in the name of fun. Now, here we are in 2016 and these Birds are a hot item. Who would have guessed. It was not me or anyone I knew because we would have bought one and cared for it. So, before you go out and impress your friends with your knowledge of a particular car please double check your facts. And , don’t rely on Internet information as gospel. As for the service station photo I included that as a reminder how far we have gone. I did not say forward or backward but I included the picture just for you to enjoy. It’s a time tunnel from our past and it shows are far we have come. I think. 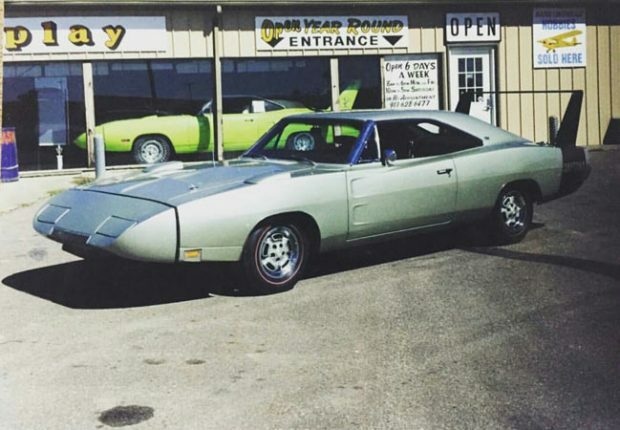 Related ItemsDo You Know Everything About the Plymouth Superbird or Daytona? Next Story → My 1966 Mercury Cyclone By Richard Paul Wilson Jr.